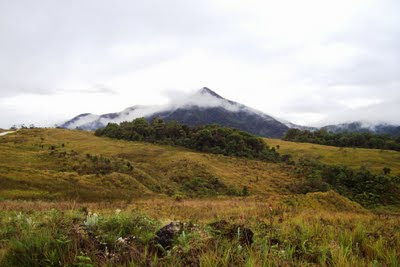 Tari is in the Southern Highlands province of Papua New Guinea. So far, it has been the most fascinating place I have visited. It will be one of my most memorable. Last year (2008), I decided to take a trip to Papua New Guinea and visit my long time friends, Zen and Morris. A trip to their corner of the world was something I had thought about for several years. Seeing there's not much to see or do in Port Moresby, Zen suggested a trip to the Southern Highlands. In the mid '70s, Barbet Schroeder, a French film maker, came out with a hippy-dippy, art house film, La Vallee (Obscured by the Clouds), with sound track by Pink Floyd. After I saw the film, the imagery embedded itself in my mind. 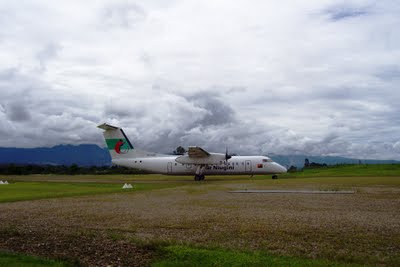 As I got off the Air Niugini flight at Tari airstrip, I was awestruck by the scenery - the valley of the clouds. Maybe not the exact location but Tari was perpetually shrouded in thick, heavy clouds, ringed by a lush, bluish mountain range. 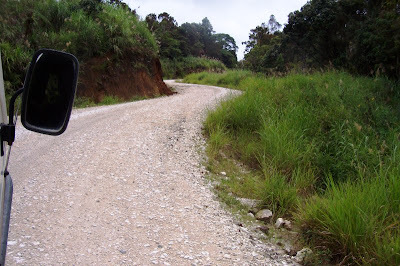 Tari Valley is on the gravel highway between Mendi, the provincial capital and Mt. Hagen in the Northern Highlands province. At the airport, a guide and representative of Trans Niugini Tours picked me up in an Australian Oka for a 40 minute drive to Ambua Lodge. 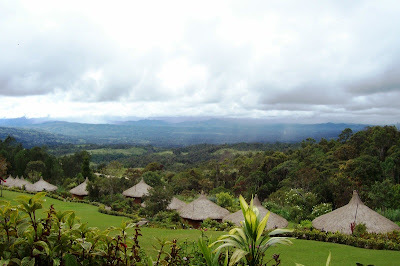 At 2100 metres, Ambua Lodge commands a fantastic view of the valley and the mountain range, often "obscured by the clouds." It was the most peaceful hotel I've ever stayed. Only the plop plop of the night rain on the thatched roofing, the rustling of trees, the gentle murmur of the mountain stream and occasional bird calling amounted to "noise." From Ambua Lodge, Tari Gap was about 1.5 hour trip. 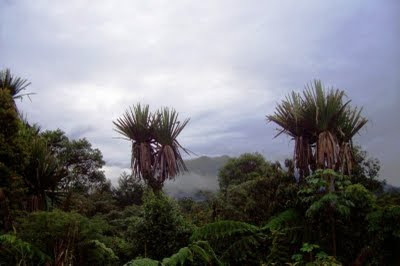 On the way, peeking through the thick foliage, was Ambua Mountain, (yellow mountain) sacred to the Huli people. The Gap is literally a wide opening in the mountain range with sub-alpine vegetation and Mt. Gilawe (2nd highest in Papua New Guinea) in the distance. The quietness of the place gives it an almost reverent feel. In the late 1930's, the first white men came through the Gap, stumbled into the valley, and "discovered" the Huli, the people of the valley. Today, Tari Gap serves as a pass through the mountain range connecting the southern highlands to the north coast of the island. I had more to discover. More on Tari next post. A link to my review in Trip Advisor, National Geographic Moments.